This lunchtime, join conductor Eugene Tzigane and the RSNO as they serve up two Beethoven masterpieces guaranteed to raise the spirits! 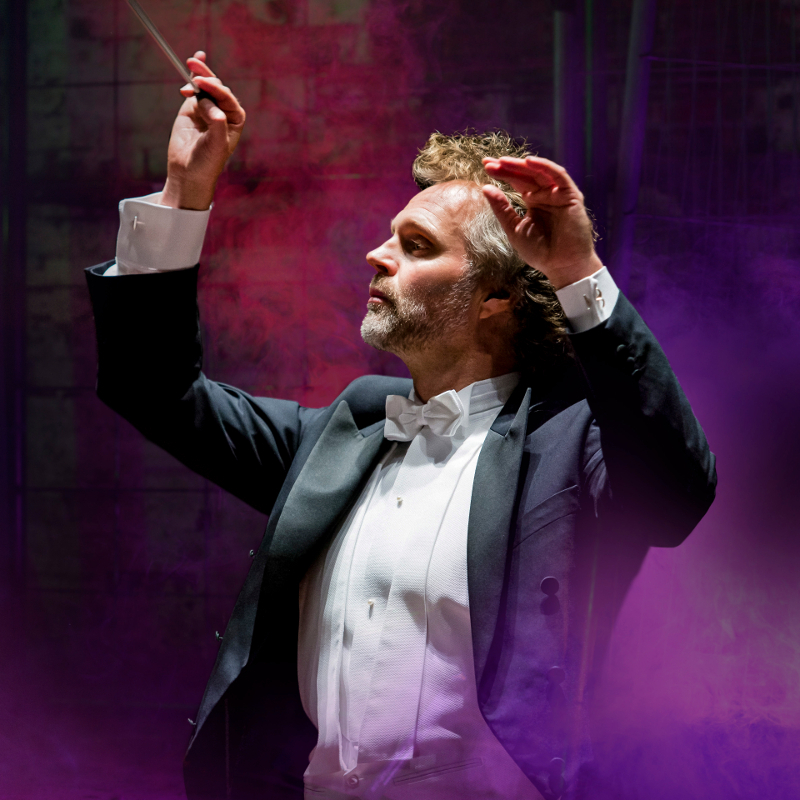 The Egmont Overture is a stirring drama of triumph over impossible odds; the Fourth Symphony is a burst of pure musical sunshine, delivered with breathtaking verve. And, in between, a vision of calm: a Highland landscape painted by one of Scotland’s most imaginative living composers. Hailed by the Berliner Morgenpost as “a poised orchestral leader”, the young conductor Eugene Tzigane is often praised for his elegant conducting style, natural musical authority and “almost fanatical precision” (Neue Volksblatt). His reputation as a versatile force on the podium is witnessed by the high level of return engagements throughout Europe, North America and the Far East. He achieved early recognition winning Second Prize at the 2008 Solti Competition leading to invitations from the Deutsches Symphonie-Orchester Berlin, Frankfurt Radio Symphony and Nordwestdeutsche (NWD) Philharmonie. He was immediately appointed Principal Conductor of the NWD Philharmonie, a position which he held until 2014. Tzigane enjoys many ongoing relationships with ensembles worldwide including with the Norwegian Radio Orchestra, Lahti Symphony, Tampere Philharmonic and Helsingborg Symphony Orchestras. Other recent European engagements have taken him to the Netherlands Philharmonic Orchestra, Staatsphilharmonie Rheinland-Pfalz, Copenhagen Philharmonic, Tapiola Sinfonietta, Norrköping Symphony, RTE National Symphony Orchestra of Ireland, BBC Scottish Symphony and Basel Symphony Orchestra. Since his US debut with the Indianapolis Symphony Tzigane has conducted the symphony orchestras of Oregon, New Jersey, Fort Worth, North Carolina, Columbus and the Rochester Philharmonic. At his Chicago debut conducting the Grant Park Festival Orchestra he was praised by the Chicago Tribune for “bringing freshness and energy”. He conducts regularly in Japan including with the Yomiuri Nippon and Tokyo Metropolitan Symphony Orchestras and has been to Australia with the Adelaide Symphony and West Australian Symphony Orchestras. With a natural flair for working with singers, Tzigane made his Bayerische Staatsoper debut conducting a new production of Così fan tutte and more recently took the helm of Die Zauberflöte at Hamburgische Staatsoper, Die Fledermaus at Frankfurt Oper and Carmen at Royal Swedish Opera. He returns to Stockholm in spring 2018 to conduct nine performances of Giordano Fedora. Tzigane begins the 17/18 season making his debut with the London Philharmonic Orchestra in an all-Beethoven programme. Other orchestral highlights include return visits to the Norwegian Radio Orchestra, Umea, Gavle and Helsingborg Symphony Orchestras and for concerts with the Orquesta Sinfonica de Galicia, Orchestre National d’ile de France and Swedish Chamber Orchestra. Eugene Tzigane began his conducting studies at Julliard with James DePreist where he earned the Bruno Walter Memorial Scholarship. He completed his studies under Jorma Panula at the Royal College of Music in Stockholm where he was awarded the Franz Berwald Memorial Scholarship and attended masterclasses with Daniel Harding, Michael Tilson-Thomas and Jukka-Pekka Saraste. His other accolades include First Prize at the 2007 Fitelberg Competition and Second Prize at the 2007 Matacic Competition.